Rabbit anti Human heat shock 70 kDa protein 14 antibody recognizes the heat shock 70 kDa protein 14, also known as HSP70-like protein 1, heat shock 70 kDa protein 14 isoform 1 variant 3 or heat shock protein HSP60. The Heat shock 70 kDa protein 14 is a component of the ribosome-associated complex (RAC), a complex involved in folding or maintaining nascent polypeptides in a folding-competent state. In the RAC complex, binds to the nascent polypeptide chain, while DNAJC2 stimulates its ATPase activity. 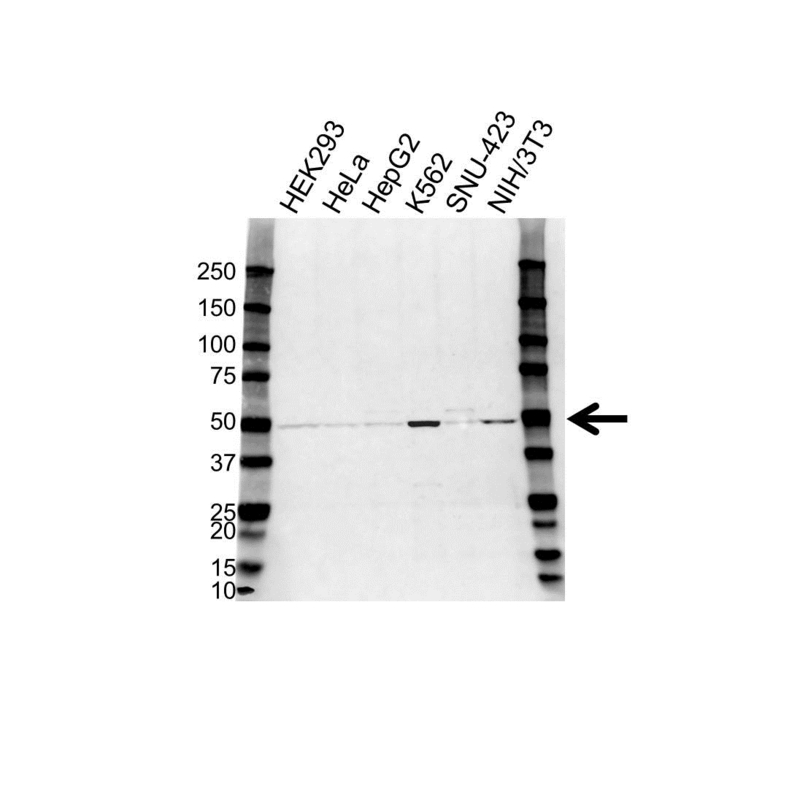 Rabbit anti Human heat shock 70 kDa protein 14 antibody detects a band of 49 kDa. The antibody has been extensively validated for western blotting using whole cell lysates.